An elderly San Diego couple died after the wife, then the husband was struck by their own vehicle in their driveway. 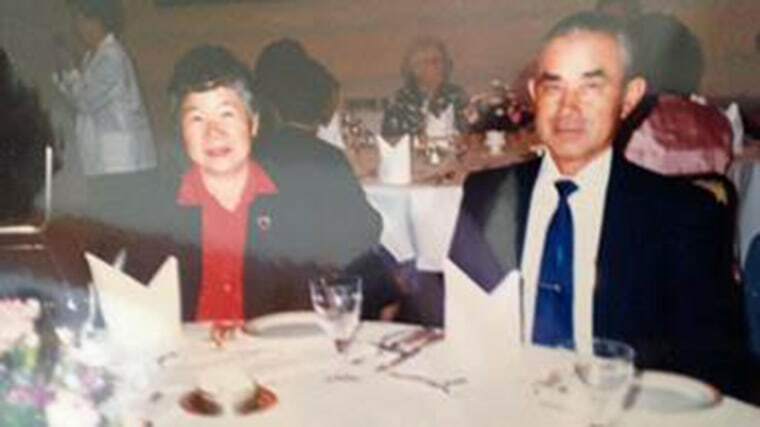 Family and neighbors have identified the couple as 80-year-old Setsuko Yada and 87-year-old George Yada. The incident happened just after 9 p.m. Sunday on West Overlook in San Diego’s El Cerrito neighborhood. According to San Diego police, George was repositioning his Toyota pickup truck in their driveway when he ran over his wife. The victim’s nephew said his uncle fell out of the truck while trying to see if she was alright. The truck, still in motion, rolled over the man and pinned him against the house. “They helped raise us. You know, wonderful people," he said. Setsuko was pronounced dead at the scene, according to the San Diego County Medical Examiner. George later died from his injuries at the hospital. Hashiguchi said his uncle suffered from dementia and shouldn’t have been driving. On Monday, neighbors placed flowers on the very car that killed the couple, who had been married 45 years. They described the Yadas as loving, kind and quiet people who always had smiles on their faces. Ed. Note: San Diego police statement of facts initially had the victims reversed but later corrected the error.